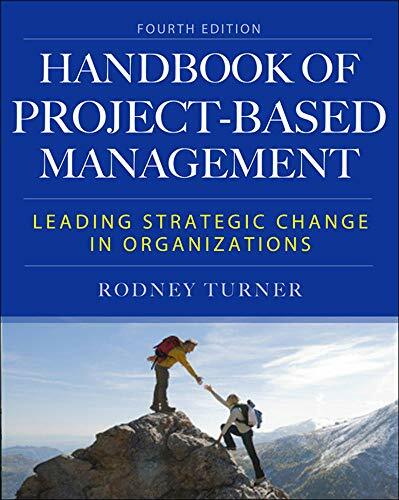 Thoroughly revised and reorganized, The Handbook of Project-Based Management, Fourth Edition focuses on the role of the global project manager in today's high-tech, hyperconnected environment of continuous improvement and innovation. Rodney Turner, editor of the International Journal of Project Management, explains how to implement a proven, structured approach to achieving performance improvement through strategic change. This practical resource describes how to align project goals with organizational goals, maintain governance, and manage project performance and process. An all-new case study runs throughout the book, demonstrating real-world applications of the concepts presented. Rodney Turner is a Director of EuroProjex, The European Centre for Project Excellence Limited. He is professor of Project Management at SKEMA Business School, Lille, where he is academic director of the PhD program, and at Kingston Business School. He has an adjunct position at the University of Technology Sydney and a visiting position at the Technical University of Berlin. He is editor of the International Journal of Project Management, and author of 18 books.